Scalar devices in effort to deliver amazing results in the areas of indoor/outdoor EMF protection, stress reduction, energy enhancement, and cellular healing. To provide consumers with a range of best-in-class products and services to enhance their health and well-being and help them live a lifestyle guided by the philosophy of holistic, integrative medicine. To be the leading resource for holistic health care products, education, information, and services based on the principle of integrative, holistic medicine. To support holistic, integrative medicine by funding the training of physicians, researchers and other practitioners, public education, research, innovations in patient care, and policy reform. To sponsor an active community of medical professionals and concerned consumers to work together to discover and share healing products and strategies that work. Expand and deepen research in holistic, integrative medicine and alternative therapies that work. 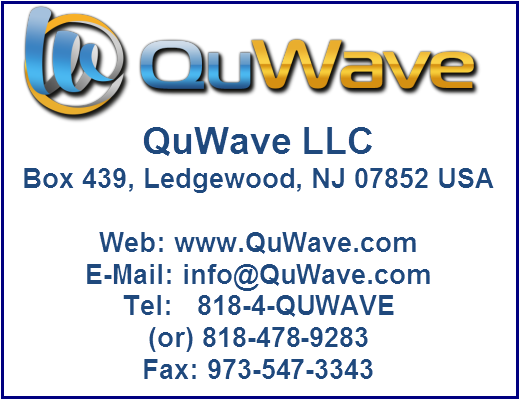 The R&D team at QuWave continues to develop products and solutions with a number of exciting new products to be released in the near future.